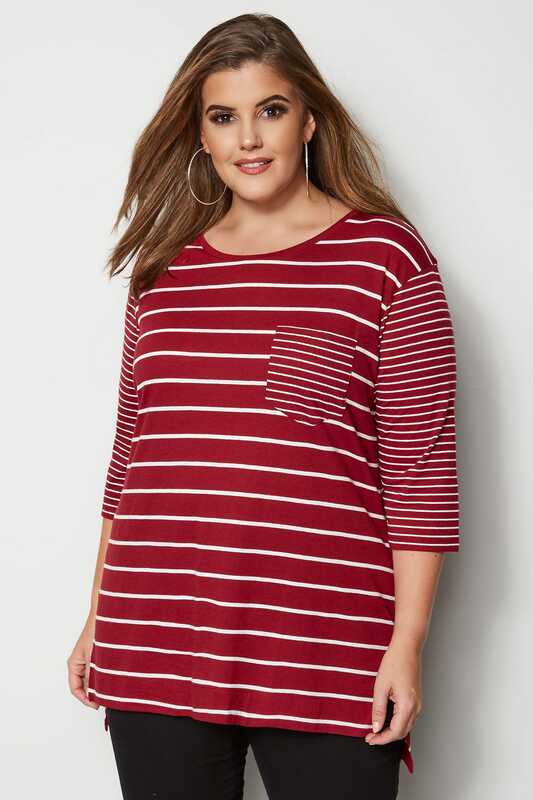 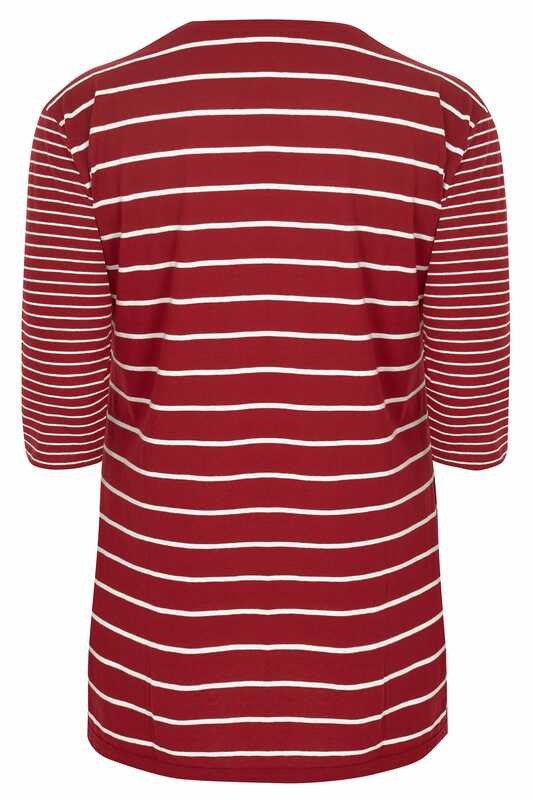 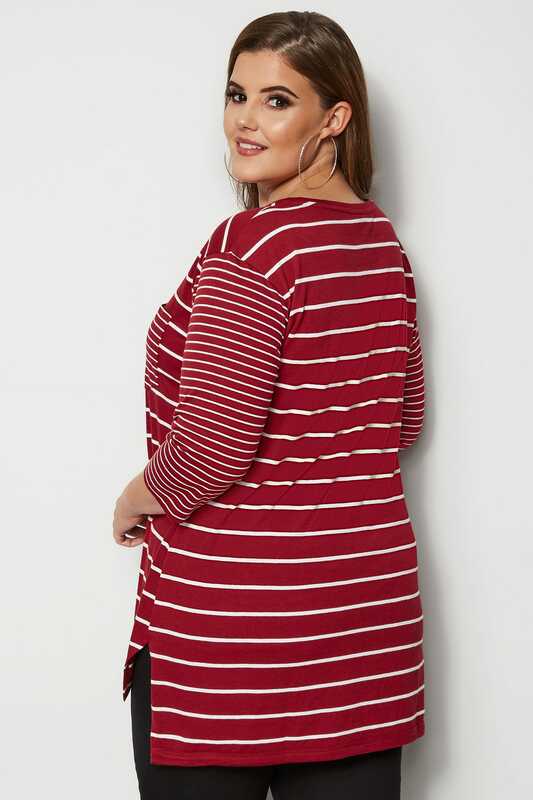 Front length from (approx): 76cm/30"
This chic striped t-shirt is perfect for off-duty dressing. 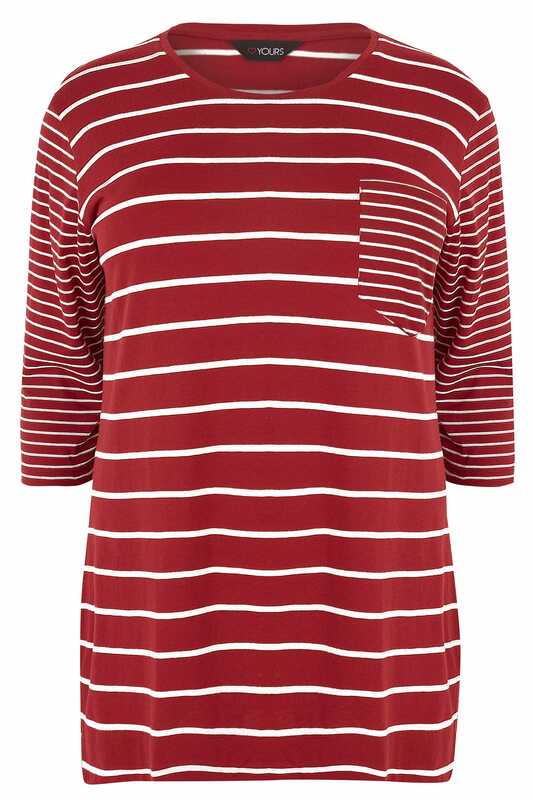 Featuring 3/4 length sleeves and a stepped hem for more coverage, it is a great piece to have in your casual wardrobe. 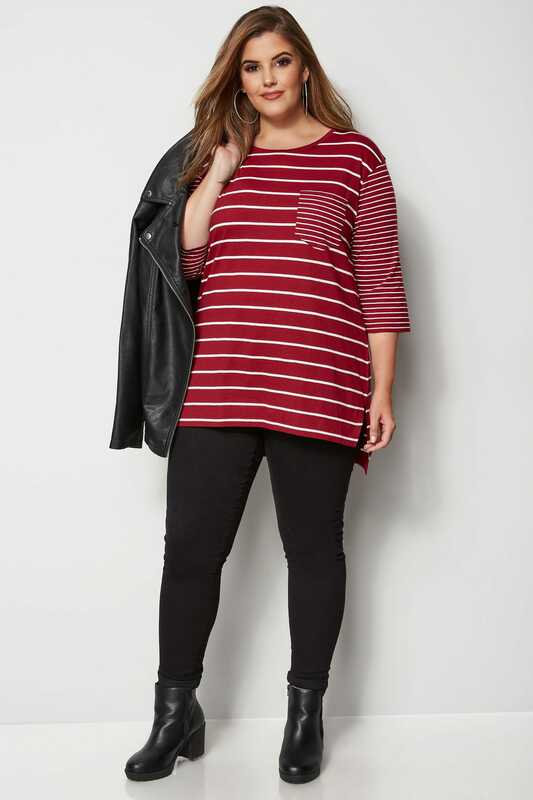 Simply style with a denim and a pair of canvas trainers for an easy-to-wear comfortable look. 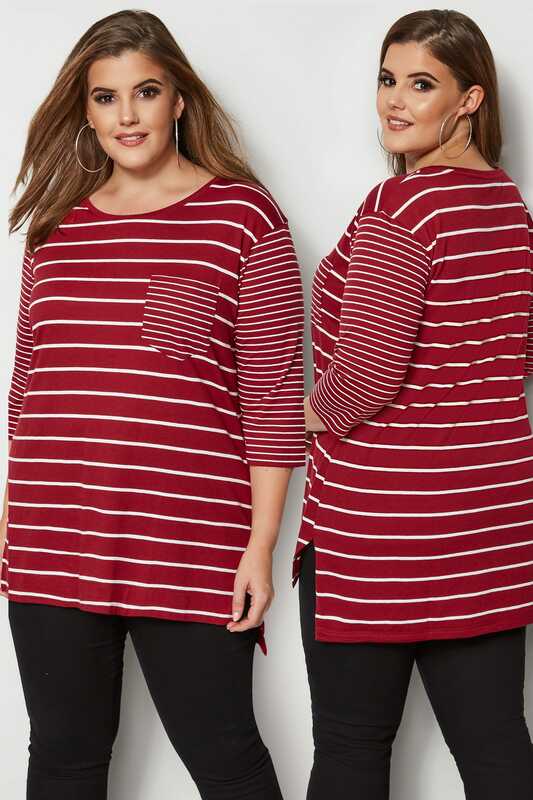 The contrast stripe pattern is a fashionable twist on the classic striped tee.